Huevos rancheros make for a spicy start to the day. 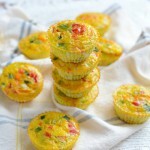 This delicious dish has a Mexican flair and will give you a healthy kick start to your morning. 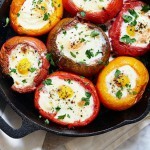 If you’re craving something tasty and exotic for breakfast, here’s how you can make delicious huevos rancheros for one. The minimal clean-up involved is an added bonus. Heat your oil in the pan. Cook your eggs how you like them. Temporarily transfer the eggs to a plate. Heat up the corn tortillas in the pan. Sprinkle your cheese of choice onto the tortillas. Spoon some salsa of your choice on top of the melted cheese. Place your eggs on top of the salsa. Spoon some more salsa on top of the egg, and sprinkle on some more cheese. Transfer your tortilla with the egg on top to a plate. 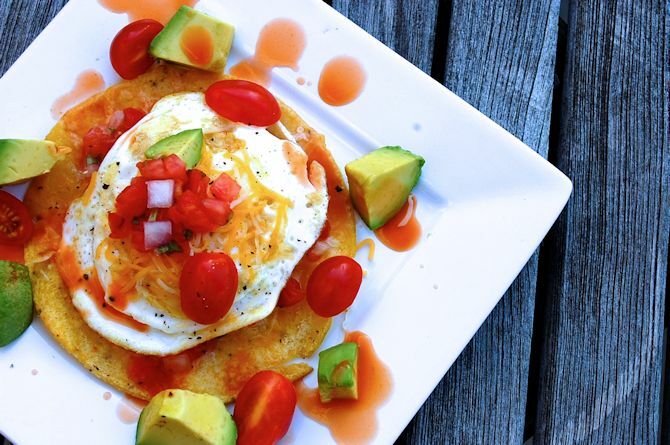 Garnish your huevos rancheros with the avocado cubes, tomatoes, and hot sauce.